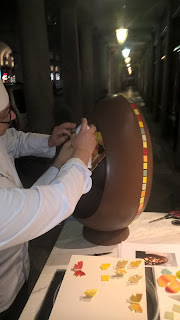 'Atelier' is a French term for 'workshop' or 'studio', where a principal professional artist works together with students or apprentices to produce a piece of fine or visual art. 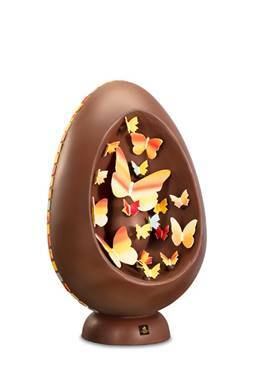 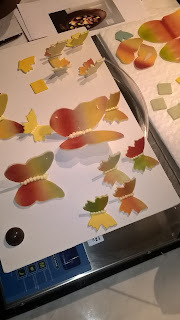 This week, at the five Godiva Chocolate stores around London, executive chocolatiers Jean Apostolou and Ilse Wilmots made an appearance at each store to handcraft the delicate white chocolate butterflies as finishing touches to this year's Godiva Atelier Easter Egg. Standing 66 cm high (that's a small child), weighing about 13 kg (again, about two newborn babies) and with enough chocolate for about 70 people, this spectacular showpiece is actually on sale for a mere £1000! 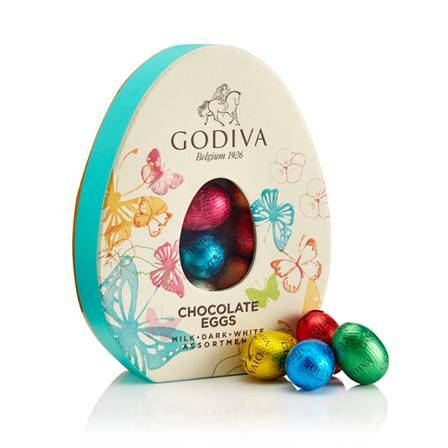 Do you know enough people to club together to share one??!! 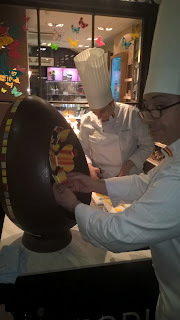 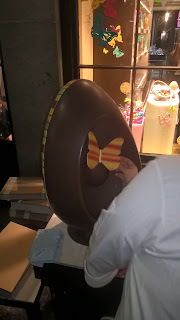 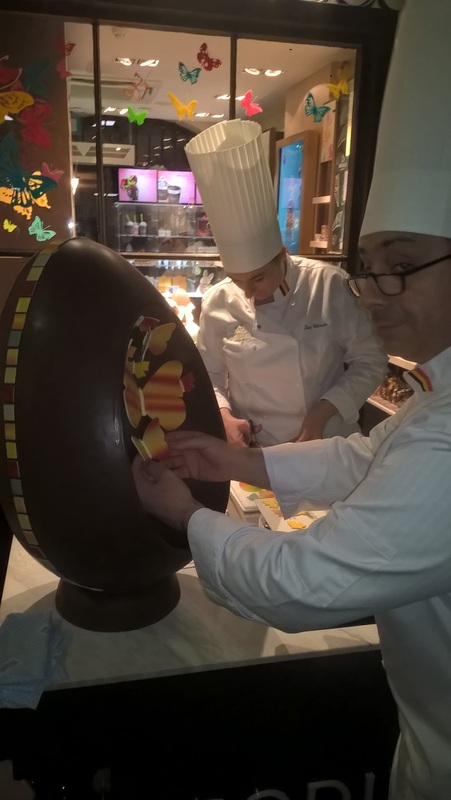 See one of these five exclusive giant chocolate eggs at Godiva stores at Harrods, Selfridges, Regent Street, Covent Garden Market (below) or St Pancras International Station.